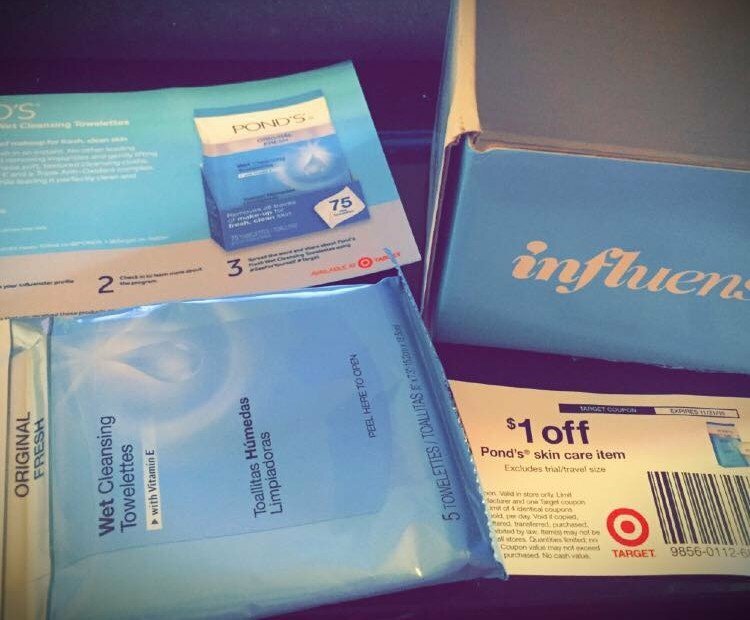 I received a #VoxBox from #Influenster with a sample pack of Pond’s Wet Cleansing Towelettes and a coupon for $1 off to use at #Target. I never used this product before, and I really liked it, especially the smell. On Halloween I didn’t dress up, but I went out and had make up on, so I tried them out and made a quick video. Enjoy it and let me know in the comment if you ever used this brand before and how you like it ! Get a Free Michael Kors Scented 24K Brilliant Gold Fragrance Tattoo!! Just CLICK HERE and wait a bit until the page load (it took me a bit at first! ), scroll down to the middle of the page to see the form and fill that out with your info. That should mean you got it! Who likes warm beer? That’s right, no one! 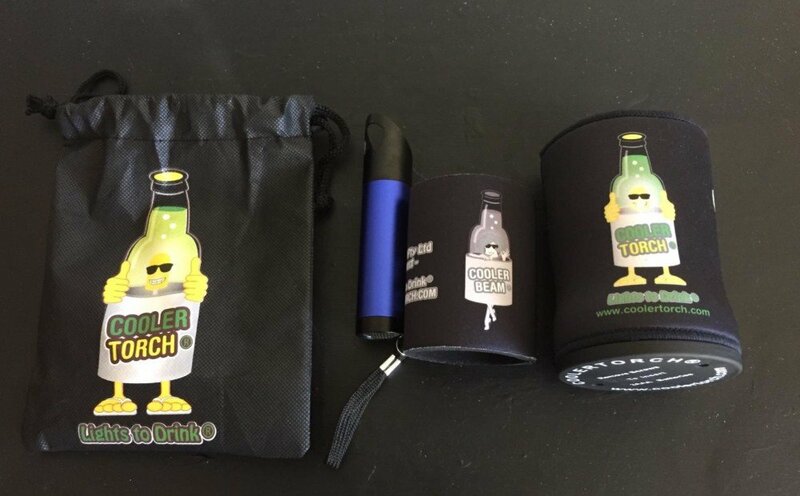 Then this Koozie cooler set is for you! This cooler does a decent job of keeping the beer cool, but the reason I really like it is that my hand doesn’t get cold holding the beer. On getting the package I opened it up and there’s a small pouch closed with strings, I thought ‘oh neat, a carrying case’. I looked inside and first thing that falls out was a led flashlight. The end of it looks funny, but it’s actually a bottle opener! Next two were these little cozies, one for a beer bottle and the other for small/thin cans like a redbull. First, both the big cozy and the led came with charged batteries and ready to go. It did take a few seconds to figure out how to turn on the lights on the cozy, as honestly we missed the button even if clearly says “On/Off”, and once we did and turned it on, it was a little show in my bottle. It flips through 3 different lights and the bottle really shows the light and is a neat effect. 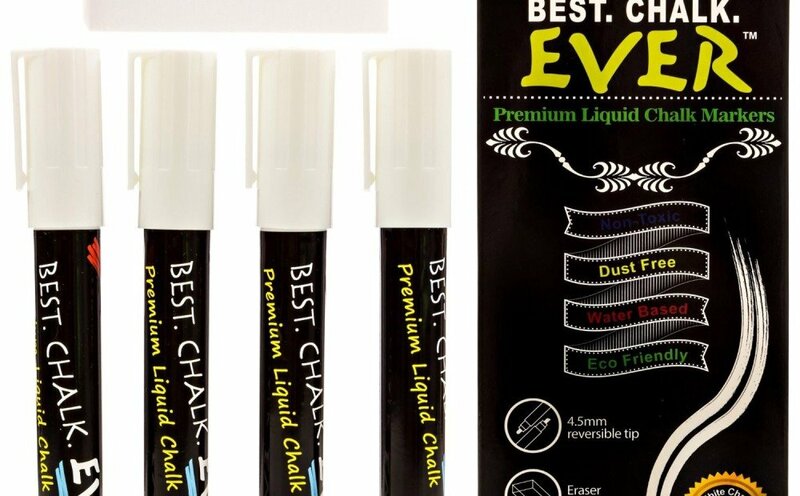 I purchased this product for a discount price for my honest review, click HERE if you want to check it out and check my youtube video below for a preview of what you will get! I got the chance to buy the TempoScan® Non-contact High Accuracy Infrared Thermometer for Body and Surface from Orksun, for a discounted price in exchange for my honest review and I was really curious about it even if I didn’t really expect it to be a quality product. If wasn’t for the discount, I wouldn’t probably buy such product online, for the fear of it being some cheap made in China product; something you can’t really tell just from looking at pictures online. 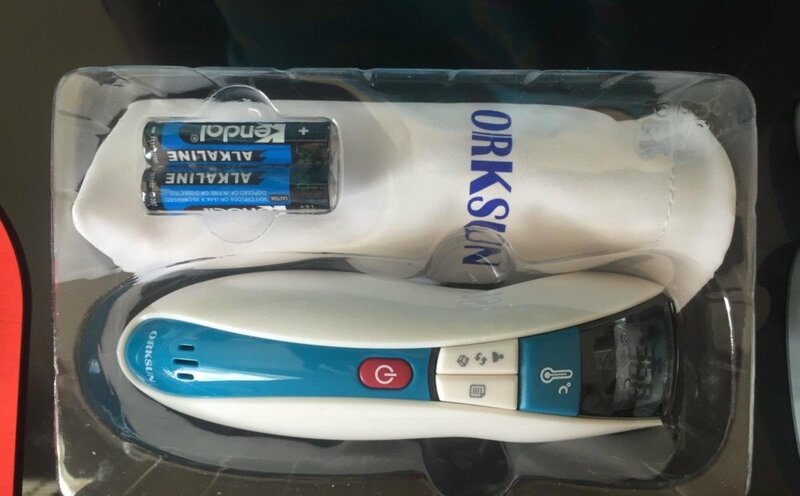 Luckily the product was all the opposite of what I though: nice box, solid product, detailed instructions manual, mini bag and even the batteries included! I am a big fan of Star Trek and I was so excited to try it so I could feel like one of the Star Trek doctors for a minute and start scanning things around! * WATCH OUT!! You may get addicted and start checking the temperature of your meals, yourself, and basically everything around you just for fun! If you want to read more review about this product, or if you want to purchase it, CLICK HERE! I received the Primed4U Novelty Series Bluetooth Wireless Headset at a discounted price in exchange for my honest review and if you have been reading few of my past reviews, you know that giving me a product for free or at a discount, doesn’t mean I’m gonna leave a positive review…and this is one of those cases! 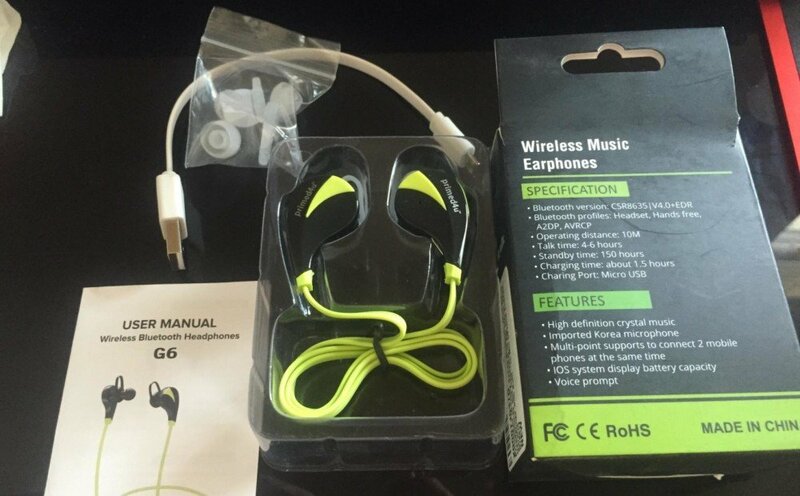 Overall I’m satisfied with these Bluetooth headphones because they offer the freedom from having your ears tied to your phone with a cable and allow simple commands to be used from the headset itself, but the cons I listed below, are kinda a deal breaker for those who buy them to use them to actually make calls. I honestly use them only to listen to music or when watching series TV/movies, and for this purpose they are great. I tried however to make a phone call and a Skype call and my friends couldn’t hear me very well. -Controls: I love this part of these. Phone in pocket and I can change volume, next and previous songs, mute and accepting calls with out pulling out my phone. There’s even a computer voice that tells you what’s going on like ‘The next song’ and such. -Micro usb charging cable: More and more have gone to this but still good to know you can use one of your multitude of cables aready to charge it. -Battery life: Charges to full really fast and lasts up to 6 hrs on a charge and days if you’re not using them. -Fitment: They fit in nicely and don’t come loose. They also come with different ends if the stock ones don’t fit your ears. -Audio quality: Better than what earbuds usually come with phones but won’t compete with more expensive wired headphones. – Call quality: You may here the caller fine but since the mic is in the earbud itself, they may have trouble hearing you. – Build quality: Harder plastic is ok but the multifunction button feels very cheap and I don’t know how long it might last. – Kind of minor but they stick out from your ears a decent amount but it doesn’t affect it staying in your ear at all. Conclusion: they are my preferred headphones for when I use the treadmill but if I have to make a call, I still prefer my other ones that have a mic closer to my mouth, so 3 stars because the product is nice, as well as the design and the colors available, but I wouldn’t really suggest it to those that want a headphones set to make calls. 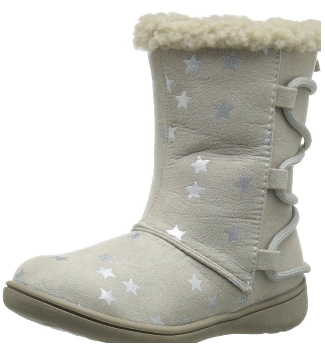 To check more reviews about this product, or if you want to purchase it, CLICK HERE! 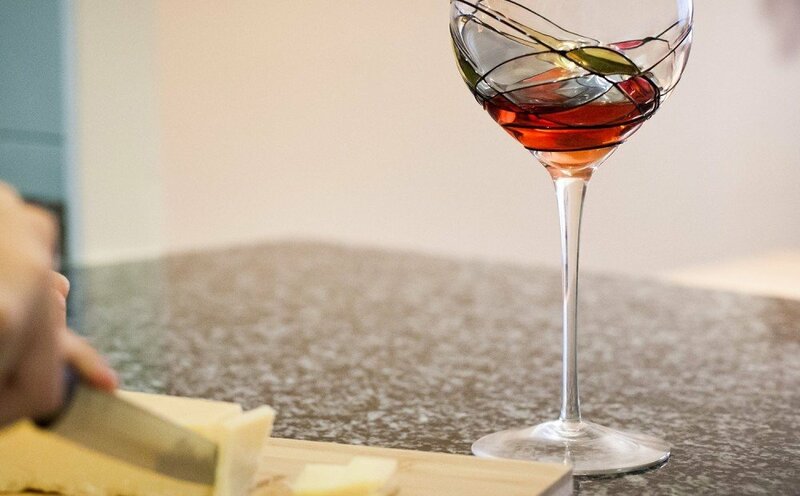 I had the luck to purchase the Valentina Paris Hand Painted Wine Glasses set of 2, at a discounted price in exchange for my honest review, and trust me when I say that if you love stylish kitchenware, and wine of course, this set is a MUST in your kitchen! First of all, the package arrived very well wrapped, so if you should get a broken one it would be really bad luck as they are packaged with extra care, and if you do get unlucky, just contact the seller or Amazon and they will surely send you a new set. The wine glasses are bigger than the usual, and someone actually listed that as a CON on a review…I’m still trying to figure it out how that can be CON, as I believe that more wine = more awesome! The feature I like the most is of course the beautiful hand painted design as it makes each individual wine glass unique, even if the colors and lines may match and be the same in every glass, I think that when you hand paint something, no piece is really exactly the same. The colors seems too light to be caught on camera (at least with iPhone camera), but they are mostly blue, red, yellow, gold. Luckily on Amazon there are pictures taken by PRO and you can get a better idea of what they look like in person. They make a great gift for pretty much anybody as even if you aren’t much of a drinker, they make a cool display in the house; I think they can be considerate a decorative glass as well (you can fill them with rocks or marbles and a tea candle or water and a tea candle to make a romantic atmosphere. Remember to hand wash them to avoid ruining the design. I hand washed them few times until now and no issue with the design at all. 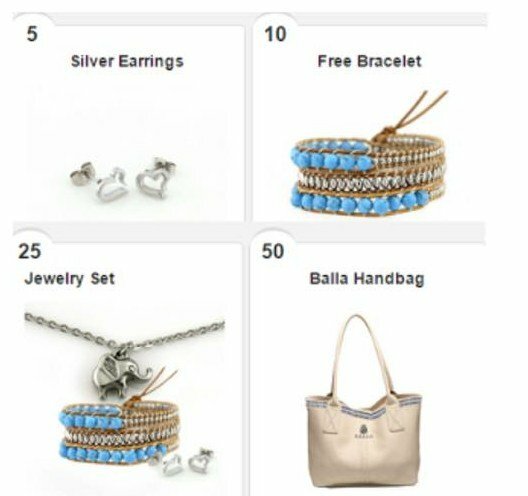 To check more reviews about this beautiful set, or to purchase it, CLICK HERE!